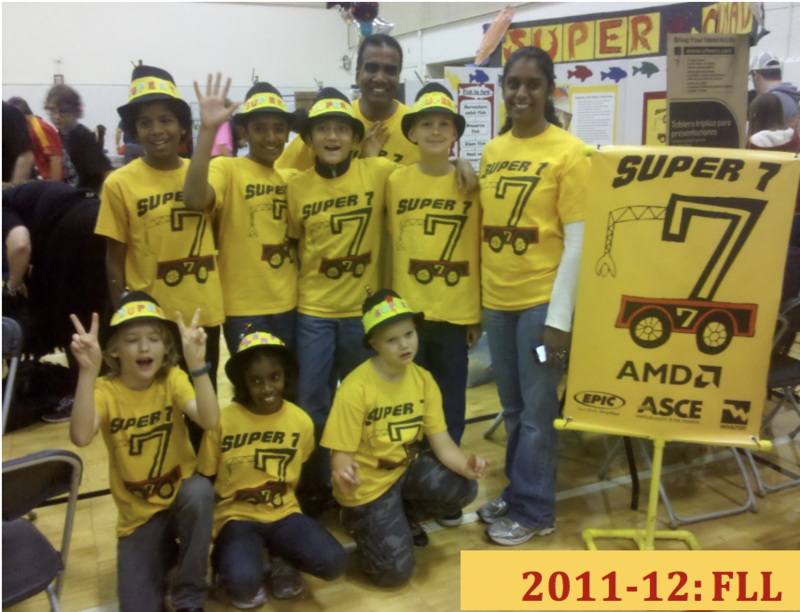 Team Super 7 began in September 2010 as a community FLL team supported by the American Society of Civil Engineers (ASCE). We are located in Oviedo, a suburb of Orlando in Central Florida. 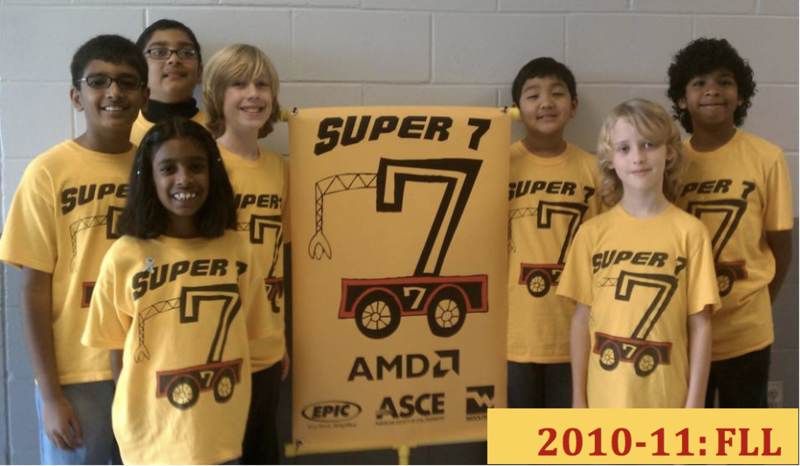 Our team logo and name originated from the (7) Keys to Success our team members created during our rookie year in FLL. 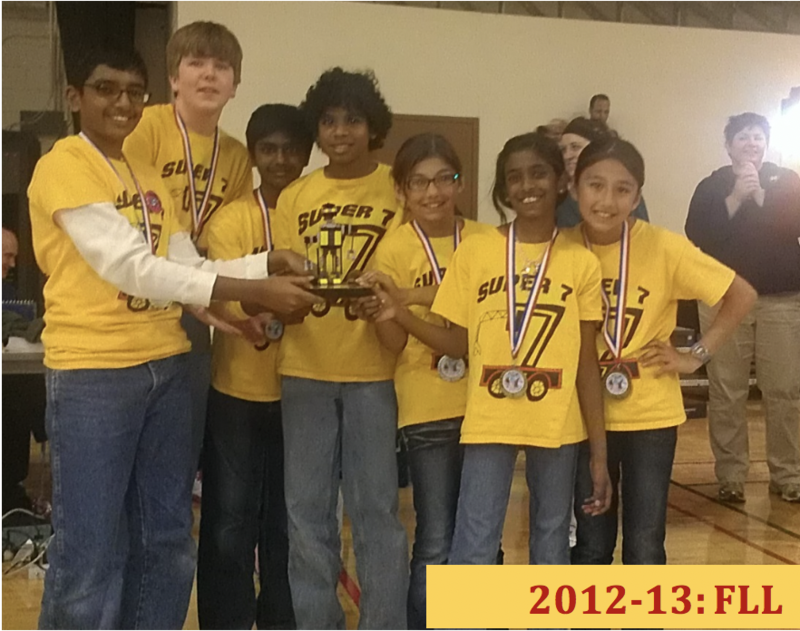 During our time in FLL, we learned a lot, formed many new friendships and reached the State Championship each year. 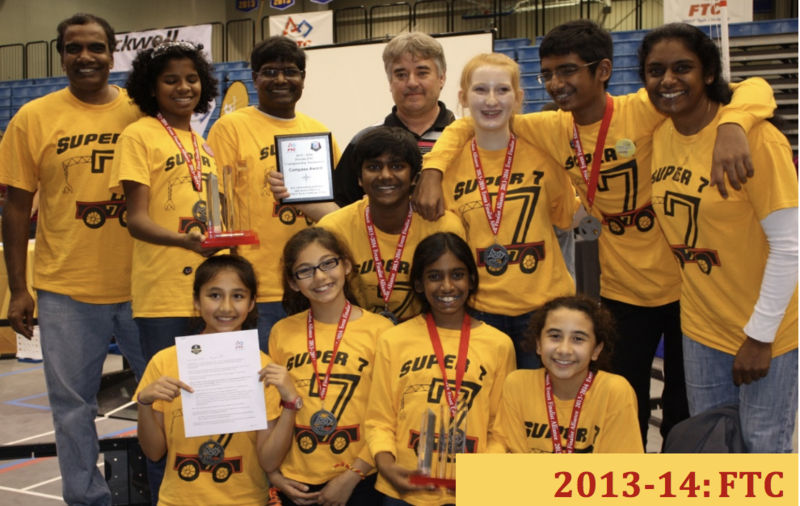 We received various awards and recognitions and helped spread FIRST robotics in Seminole County, FL. 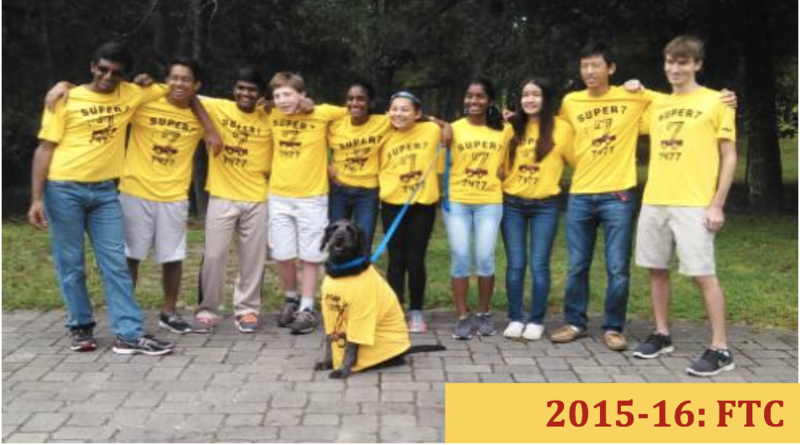 We are proud to have contributed to the growth of robotics in Seminole County Public Schools. 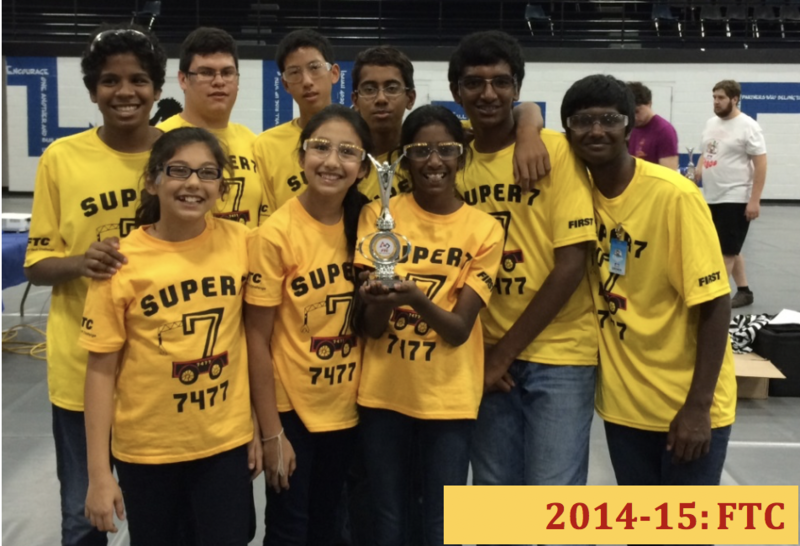 We joined the FTC in the 2013-14 season (Block Party) as Team 7477. 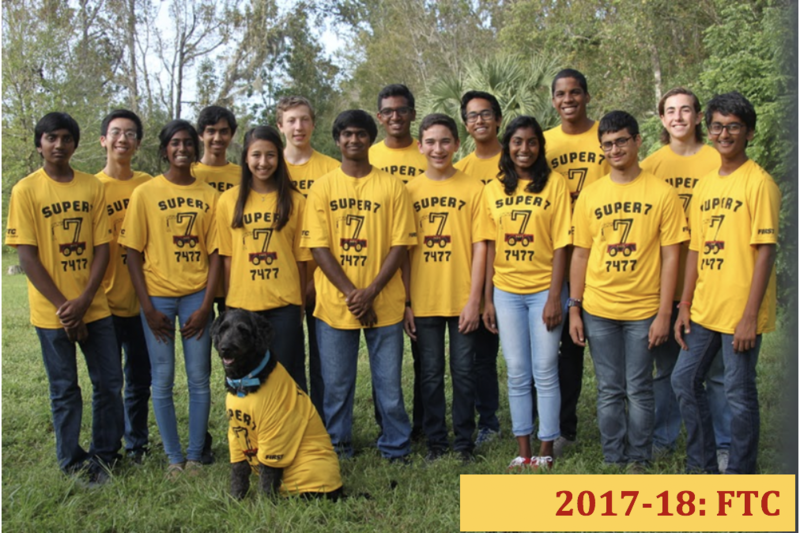 We are part of the Space Coast Robotics League in Central Florida. 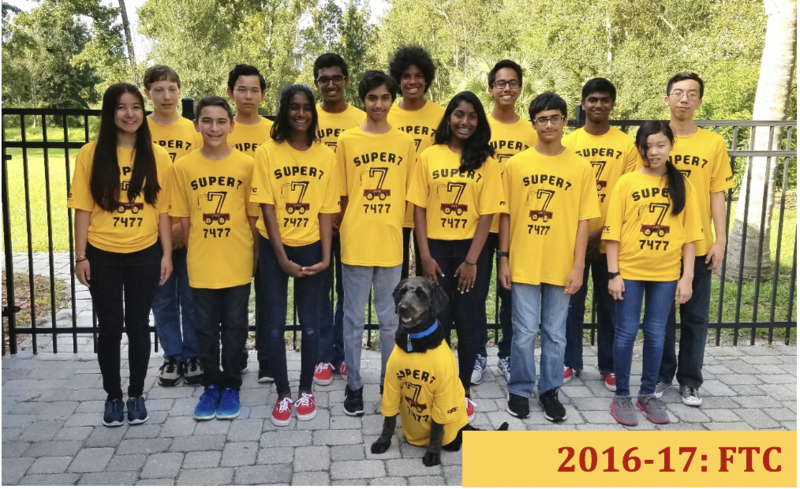 After facing many challenges in the Relic Recovery (2017-2018) Season and barely qualifying for the World Championships, we were determined to give it our all. 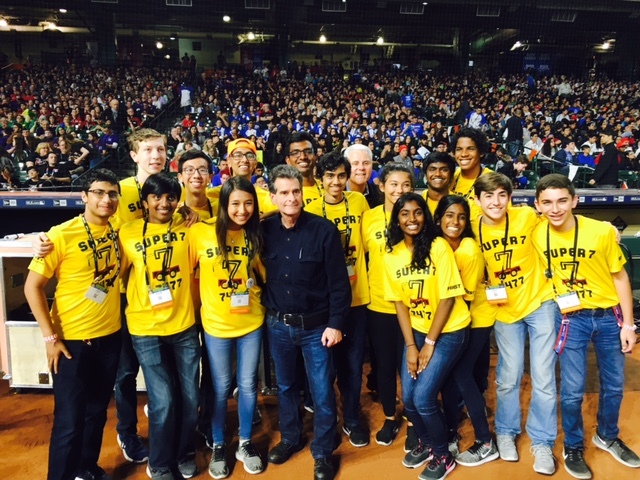 With all these challenges, we were truly humbled when we received the Inspire Award. 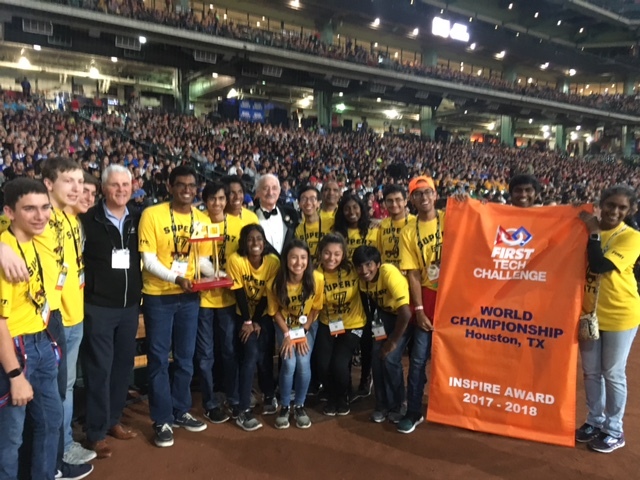 We are so thankful for the support of our coaches, mentors, sponsors, friends, and family in our journey to receive the 2017-2018 FTC World Championship Inspire Award in Houston, Texas. 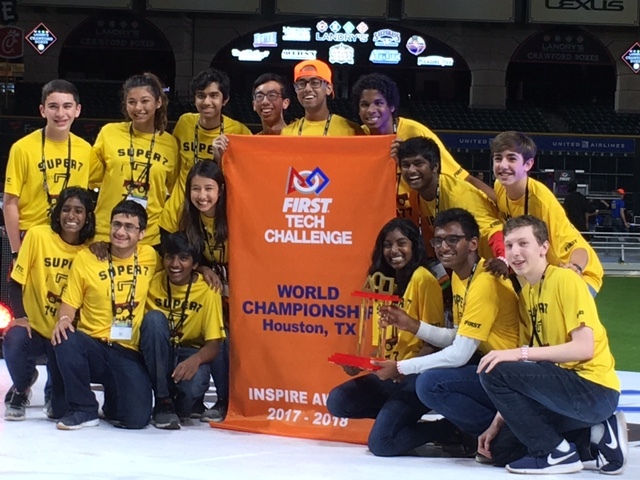 By continuing as a team, we hope to continue to promote and share the values of FIRST!